A few months ago I USPS certified an envelope with important documents. It was sent from my local USPS post office. I received a receipt of purchase and certified mail. The delivery wasn’t going far; it was in the same zip code and only a few blocks away from the post office I sent it from. I assumed this would be a straightforward delivery. My delivery was accepted March 23rd and arrived at the USPS origin to be dispersed and delivered on March 23rd. On March 25th, my item was departed and was “currently in transit to destination”. See below. There was no update online after the March 25th notice. I expected to see an update a day later regarding delivery confirmation but did not. I submitted 2 online claim requests with USPS claiming my mail was lost. I submitted the claims with my certified tracking number. I was never contacted by anyone regarding either claim. About 2 months later, I returned to the post office I sent my mail from. The lady couldn’t believe how long I waited to follow up on my mail. I told her I did not know where my mail was according to the online USPS tracking. She checked in their mailroom to see if my mail had returned but didn’t find it. I told her I had a return address on my envelope but that I did not receive it either. I demanded a refund ($3 and change) since my mail allegedly wasn’t delivered and USPS couldn’t tell me what happened. She told me she could not refund me. She provided me the number to the departing facility my mail likely arrived to and urged me to call to find out if they had my mail. The number was for a carrier post office in zip 60606 – 312-983-8404. She said she would not be able to help me further and I would need to take up my pursuit of my mail with whoever answered this number. I called 312-983-8404 for several days after. It rang with no voicemail. Several months later, I call 2-3 times a week and have yet to speak to someone. My important mail documents are lost, I paid for a service that was supposed to ensure me delivery and tracking of my mail, and I have no way of finding out the fate of my mail. USPS is one of the most worthless services my tax dollars go to. They have the worst customer service, unknowledgeable staff, and the brick and mortar buildings are typically dirty. I dread going into a post office because the employees are rude and obnoxious. This wasn’t my 1st 2nd or 3rd bad experience at USPS either. If you have a similar USPS story please share it with us. I sent a letter certified mail. It arrived at the destination post office and was then forwarded per recipient request. It has not been scanned since, no signature confirmation, and no one can help me. The documents are originals and will have to be reobtained at great hassle and probably will not arrive before the deadline. What is the point of certified mail if they aren't even going to scan it for tracking purposes? Going through this right now in Arizona. After I dropped it off I began watching the online tracking..... nothing. Nothing at all. No update. No Its so frustrating because I sent certified to ASSURE it was received. I have since then sent a letter to the same address by regular postal service. It arrived within couple of days...... Traveling within state... from Phoenix, AZ to Dewey, AZ. So frustrating. My unemployment card holding a whooping $280 on it was delivered to the wrong house or lost in the mail. Also. a package I ordered before Christmas has yet to be delivered. I filed a complaint in person. The next day when my carrier walked right past my house without a delivery, I went to the post office and request a 3 day vacation hold, problem is she said "I will get this to the carrier." I don't want the carrier to have access to my mail. Can I file a lost item complaint and make them pay me the $280 value that is on the card and the value of my package? Also I will be collecting all the mail from other neighborhoods that gets delivered to my address for a month, along with walking around and having people sign a petition to get rid of the carrier or fix the issue immediately. Do you think any of this will work or help. Short of a P.O. Box. I dont know what to do. My unemployment card holding a whooping $280 on it was delivered to the wrong house or lost in the mail. Also. a package I ordered before Christmas has yet to be delivered. I filed a complaint in person. The next day when my carrier walked right past my house without a delivery, I went to the post office and request a 3 day vacation hold, problem is she said "I will get this to the carrier." I don't want the carrier to have access to my mail. Can I file a lost item complaint and make them pay me the $280 value that is on the card and the value of my package? Also I will be collecting all the mail from other neighborhoods that gets delivered to my address for a month, along with walking around and having people sign a petition to get rid of the carrier or fix the issue immediately. Do you think any of this will work or help. Short of a P.O. Box. I dont know what to do. Hi Christopher - good luck. My mail was certified and didn't make a damn bit of difference to the Post Office after it wasn't delivered. Had it actually been something of $5 or more, I would have continue my case against them. I think I revealed too early that it wasn't "a big deal". My mail was actually a resume for a job. It's interesting, we recently had our home mail man change and he came around introducing himself in person to everyone door-by-door. Kinda weird almost. But refreshing. Thanks and Im So sorry to hear about your mail. I was given a case number but im not optimistic about them doing anything to actually track my mail down. I had to contact them and they didn't seem to really care. 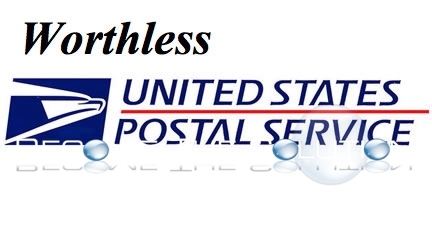 There needs to be a class action lawsuit started against the usps. I will come back here and update if anything changes. From now on I plan to use fedex or brown. No! I gave up. If it was something of real value I would have filed suite - and won. I am sorry I hope you find a means to an end.